Are you in search of a big storage space for your tools, vehicles, equipment, or other important items? You might hire a storage locker, although they can be very costly, and by doing so, you’d have to get into your car and drive to the facility where the locker is every time you have to get something in it. Our steel buildings are very convenient and a suitable money-saving option: Buy a single steel building and you’ll acquire the best space you need without monthly rental fees attached! Even though you’re in search of a 32-by-60-foot steel barn or a building much smaller, we have metal steel buildings for sale which will suit you perfectly. You also have the liberty of customizing our metal structures to the office you’ve always dreamed of. Purchasing one of our famous steel structure buildings to place on your property ensures you an easy access to your stored belongings, and our metal building kits can also be rigged hold a lot of things. Most of our clients make other use of them like storing cars and its accessories while others purchase them to house garden tools, lawnmowers(for those living in the suburbs), bicycles, or sporting gear. Some customers go the extra mile by transforming their storage structures into a steel workshop building and offices where they can carry out their DIY projects or simply do other cooperate kinds of stuff. On the other hand, the steel building is used to handle household projects such as repairing a shaky chair or a broken oven. 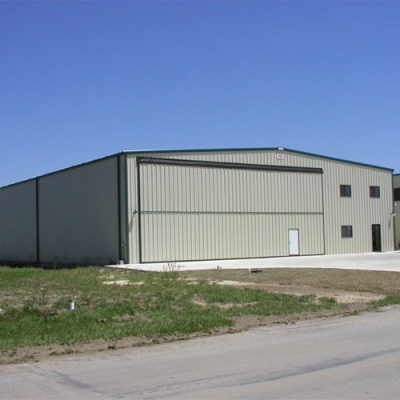 Our steel buildings can function as a machine shop, garage, carport, horse barn and much more. We can set the structure up for you for free although, they are simple, convenient and easy to arrange from our steel building kits and guild. The steel storage buildings we flog are obtainable in different shapes, designs and sizes. We advise taking dimensions of the space where you want to place your steel building. If you are still thinking of the size that would be perfect for your area, why not give us a call and we would be happy to assist you in finding a steel building that matches the measurement of your space. The other things to look out for when you are going through our collection of steel buildings are the length of your garage door, other options like doors, taller sides, windows, 12-gauge tubing, and extra braces. You can also pick a colour that matches your taste for your steel building from a wide range of options, including red, lavender, cream, sea green, brown, sky blue, grey, or black. Our prefabricated steel structure can be constructed in a variety of designs, like the ones with a lean-to on all sides. You can also select from our three different kinds of roof designs for the metal garage buildings. Most traditional steel barns have a particular barn-style roofing, although boxed-eave steel buildings have an A-frame roofing.